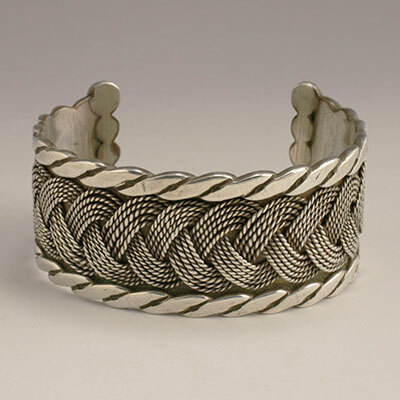 The outside edges of this piece sport a chiseled rope design. 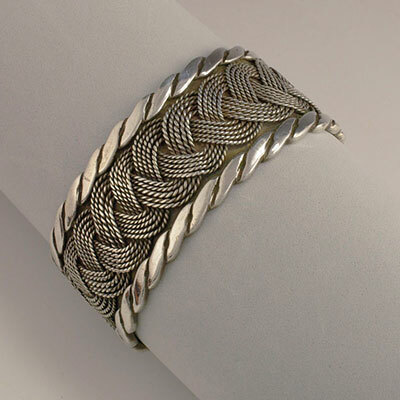 The center motif is made up of small twisted silver wires formed into a large braid element. 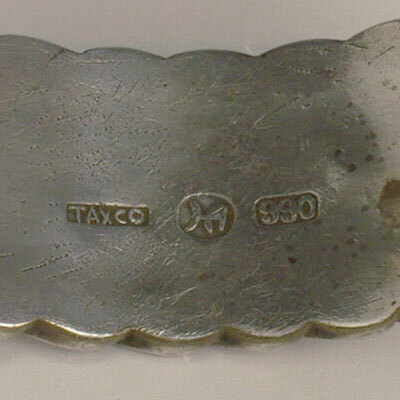 The two ends are capped with the typical balls motif. 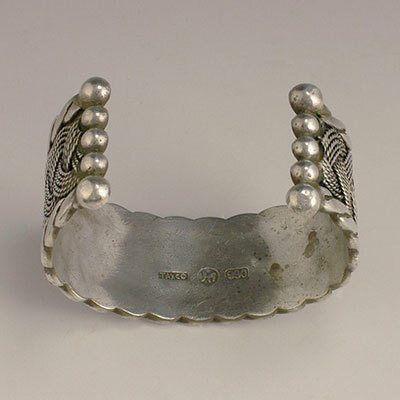 This cuff is a very substantial piece of silverwork from Aguilar's earliest period.